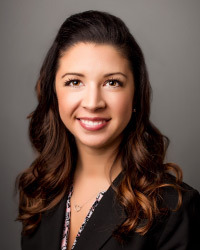 Dana has an extensive background in nutrition and has helped a wide variety of clients with food sensitivities/intolerances, hormones imbalance, infertility, pregnancy/post-partum health, digestive stress, autoimmune diseases, allergies, and weight loss. As a Nutrition Therapy Practitioner, Nutrition Response Practitioner, and Certified Prenatal Nutrition Coach, Dana uses a individualistic approach with her clients to uncover the underlying causes of symptoms in order to recommend more targeted healing protocols. She believes that every body is capable of healing given the right nutrients and chiropractic care. Dana is also a proud mom of two little boys ages 3 years old and 4 months. She absolutely loves working with children and enjoys educating them on the importance of healthy eating. Dana feels that if we can educate future generations, we can make great change and reverse the epidemics caused by poor nutrition. Dana utilizes many tools when working with her clients. Her most popular tool is Nutrition Response Testing. Nutrition Response Testing® is a non-invasive system of analyzing the body in order to determine the root cause of ill health. It uses muscle strength testing to communicate with the body’s own innate intelligence to evaluate the body’s response to a broad variety of substances that may be affecting health and function. NRT uncovers sensitivities to food, metals, chemicals, or immune stressors and reveals any nutrient deficiencies present. It takes the guesswork out of helping her clients and allows them to get better, faster.